Idaho Gov. Butch Otter joins the growing number of governors calling for a halt to refugee resettlement in their state. In August, Otter had sent a letter to his congressional delegation expressing his concerns with the refugee resettlement program and how it was being explained. "The Obama Administration has done a poor job of explaining its program and that neglect fosters a climate of fear and uncertainty," Otter wrote. "The frustration level and misunderstanding of the program is high, demanding your attention and follow-through if we are to help our citizens understand the federal government’s decision to relocate refugees in the United States." After the horrific attacks on Paris, the news that a (quite possibly fake) Syrian refugee passport was found near the body of a suicide bomber raised the specter of another tragedy — the possibility that, due to terrorism fears, countries may start refusing to take in the throngs of Syrian refugees fleeing the violence of Bashar Assad and the Islamic State. Indeed, Poland has already cited the attacks as a reason not to participate in a European refugee relocation program. And plenty of U.S. states have joined the chorus: Bloomberg's Phil Mattingly lists 14 different states that have said they won't accept Syrian refugees or that have asked the federal government to halt resettlement programs. Washington Gov. Jay Inslee says "anti-refugee comments by governors ... divide people and foment intolerance"
"Given the tragic attack in Paris and the threats we have already seen in Texas, coupled with the FBI director's acknowledgment that we do not have the information necessary to effectively vet Syrian nationals, Texas cannot participate in any program that will result in Syrian refugees - any one of whom could be connected to terrorism - being resettled in Texas," Texas Governor Greg Abbott said. But Washington Gov. Jay Inslee is an exception to the trend. In strong terms, Inslee sent out a statement this morning confirming Washington state's commitment to continuing to resettle refugees in the area. “Washington will continue to be a state that welcomes those seeking refuge from persecution, regardless of where they come from or the religion they practice," Inslee said in the statement. "We have been and will continue to be a state that embraces compassion and eschews fear mongering, as evidenced so well by Republican Gov. Dan Evans’ welcoming of Vietnamese refugees here in the 1970s." Noting that it's the federal government that actually makes the ultimate decisions about accepting or rejecting refugees, Inslee took the opportunity to take a dig at other governors. 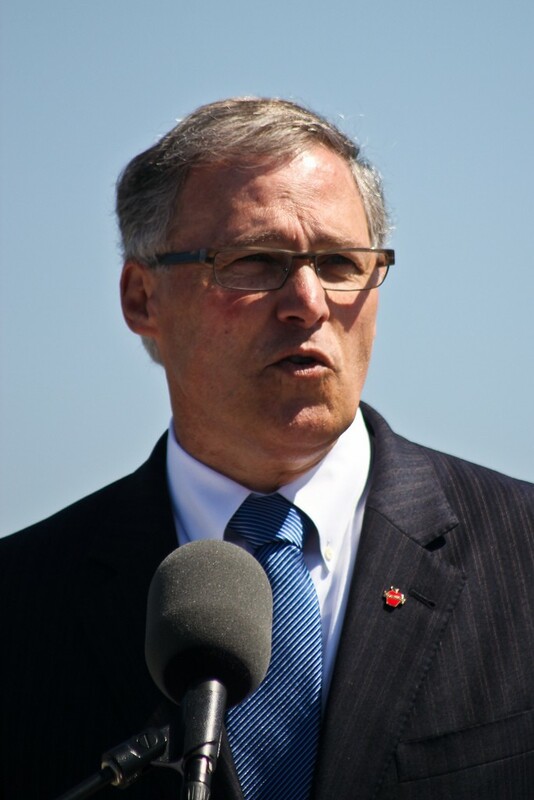 “That makes these anti-refugee comments by governors even more troublesome and of little value except to divide people and foment intolerance,” Inslee wrote. On Twitter, Inslee echoed these sentiments. In registrations witnessed by the Guardian during the summer, refugees simply presented identification to the Greek authorities, before being allowed to leave minutes later without anything like a background check. By contrast, entering the United States as a refugee is among the most difficult ways to cross the border. "Refugees have to go through seven international and national U.S. approvals before they're ever on the list for possible resettlement in the United States," World Relief director Mark Kadel told the Inlander earlier this year. Coming in a student visa, for example, is far easier. Still, the difficulty with running background checks on refugees has led even relatively mainstream Republicans to call for halting refugee programs. When I interviewed a local Syrian refugee named Hussein in September, I made sure to touch upon these concerns. I ask Hussein what he would tell Americans who have fears about terrorism. "The Syrian people are the most peaceful people you'll ever see," he says. But what about the civil war, or the fights between Sunnis and Shiites, or ISIS? Hussein says Assad and Iran, not the Syrian people, are to blame. "ISIS exists because of Assad, Iran and Russia," he says. "I am very sure of this information." It was America's reputation for tolerance that made Hussein want to come here. When the UN called him, letting him know his family had an opportunity to leave the Jordanian refugee camp, he said he was only willing to resettle in the U.S. or Canada. In comparison with Europe, where the clash between Islamic immigrants and nativists has grown ugly, he doesn't see racism in America. "The human rights I found in America are priceless," Hussein says. "They respect you as a human." “First and foremost we stand with the people of Paris and those in Beirut and elsewhere who have been attacked by the evil that is ISIS. ISIS is a terrorist organization, one that must be destroyed and erased from this planet. I am glad to see U.S. forces acting strongly in Syria today. “Washington will continue to be a state that welcomes those seeking refuge from persecution, regardless of where they come from or the religion they practice. We have been and will continue to be a state that embraces compassion and eschews fear mongering, as evidenced so well by Republican Gov. Dan Evans’ welcoming of Vietnamese refugees here in the 1970s. “It’s important to note that governors do not decide whether refugees come to their states. Those decisions are made by the federal government, and the U.S. State Department has a robust system in place to evaluate and place families who seek refugee status.